On the weekend of April 6th and 7th, you will have an amazing opportunity to learn a wonderful Japanese moxibustion system from Dr. Yuki Itaya. 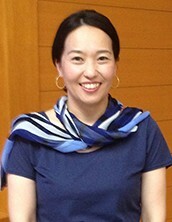 She is the only authorized teacher to teach this system outside Japan. For all those who are looking for a highly relaxing and extremely effective system, sans needles, you won’t want to miss this opportunity! This is her only Moxibustion class, in the U.S. at this time. For information, please contact us at (415) 823-1796 or email us info@pointoflifeacupuncture.com. You can also sign up HERE. Copyright © 2018 Point of Life Acupuncture, All rights reserved.